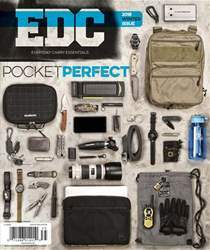 If you’re into EDC culture, it’s likely that you hold being prepared for any eventuality in high regard. That’s good, because so do we. Like our childhood hero MacGyver, it’s one thing to be good with your hands and wits and able to create a hydraulic lift out of a used sandwich bag and a wad of chewed up bubble gum, but it’s another to create light out of the darkness. One thing you cannot jimmy out of a bag and gum is light. That’s why compact flashlights should be a part of everyone’s EDC kit. When low light becomes no light, you’ll want to be prepared with any one of these fine flashlights.